For a dog which, by its very breed, dictates that it's not into people pleasing, the Japanese Akita Hachi goes out of his way to do just that, rushing to the train station every day at exactly the same time to meet his owner, Parker Wilson (Richard Gere). And as we discover in director Lasse Hallstrom's heartwarming tale, the reason Hachi does anything is out of special affection for the bond they share, proving that dogs really are like their masters and that Richard Gere even has canine groupies who – like the actor in Officer and a Gentleman have “no place else to go” except to be near the ones they love. 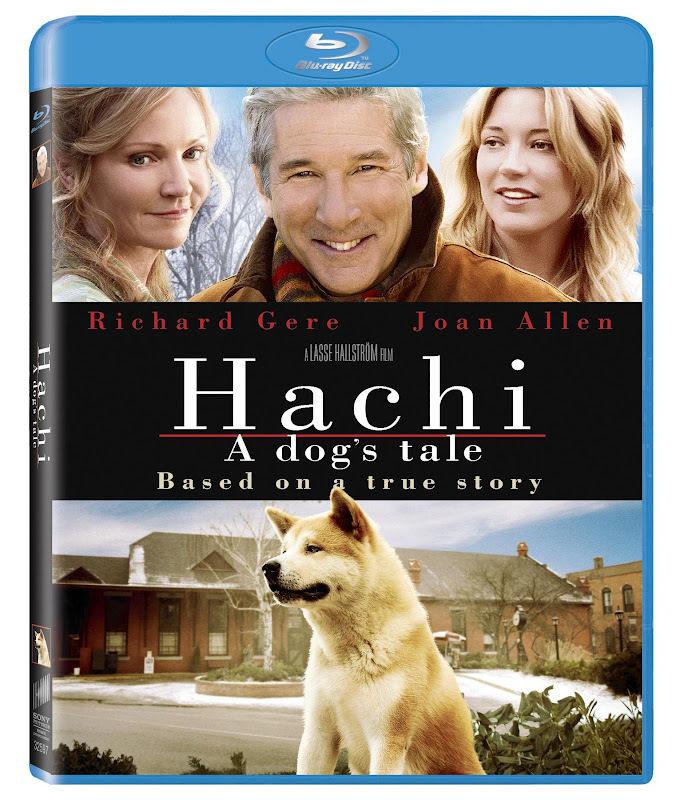 While of course, the story of the real Hachi occurred around ninety years ago in Japan where a statue of the dog waiting has been erected, this high quality reinterpretation of the story remains fundamentally loyal to the source material albeit for its contemporary setting and a much more interesting narrative. As such, it gives the dog a little bit of Forrest Gump like magic in making it to the train station where he first encounters Parker as a pup following an around the world journey from his Asian homeland where he was fitted with a color that was decorated with the character for eight. Deemed good luck since eights vertical loops are said to reach both heaven and the earth, Hachi goes from being a mild annoyance to Parker's loving wife Joan Allen (who calls him “Temporary Guest” at the start of the film) to an integral part of the family, despite his Akita demands to spend lonely evenings with his master and avoidance of playing anything remotely like fetch. Filmed with rich earth tones and an Autumn color palette perhaps to signify the part of life that Parker is in when we meet him, Hachi is also indicative of the Northeastern United States you may envision when you're asked to imagine the surroundings of homey small towns with kind people and beautiful greenery. And although the Blu-ray emphasizes its beauty and achieves a nice orchestral quality with the music, in this case, cash-strapped entertainment buffs could easily get by with a more inexpensive DVD of the film. Due to its simple storyline which most of Hachi's core audience is readily familiar with before we even begin the movie, the result is a non-challenging work perfectly suited to audiences from middle school to adults that never manipulates your emotions on the same level of, say, Marley & Me since this story about a man and his dog flows without Marley's forced plot conventions. However, the subtle workmanlike effort which earned a Truly Moving Picture award is also so subtle that it's easy to overlook as well and although it may not have the flash of a big studio campaign behind it, it's a nice old-fashioned effort that proves that you can't predict the actions of anyone based on their breed, especially where love is concerned.